WASHINGTON, DC, January 12, 2011 (ENS) – A federal appeals court today denied the state of Texas’ third attempt to block implementation of greenhouse gas control measures imposed by the U.S. Environmental Protection Agency for the largest sources of emissions – power plants and refineries. Texas has many of both types of facilities – 27 refineries and 19 operating coal-fired power plants. On December 30, Texas asked the U.S. Court of Appeals for the District of Columbia to prevent the EPA from taking over air pollution permitting until the court could consider the case. On the same day, the appeals court temporarily blocked the EPA from taking over the permits as it was set to do on January 2. On January 2, EPA began to issue permits for greenhouse gas emissions under the Clean Air Act for large industries that are planning to build new facilities or make major modifications to existing ones. These facilities must obtain air permits and implement energy efficiency measures or, where available, cost-effective technology to reduce their greenhouse gas emissions. 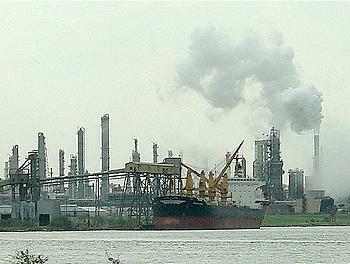 This includes the nation’s largest greenhouse gas emitters, such as power plants and refineries. Emissions from small sources, such as farms and restaurants, are not covered by these greenhouse gas permitting requirements. 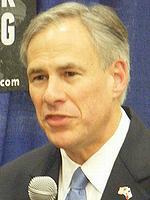 By unilaterally asserting federal control over Texas’ air permitting program, Abbott argues that the Obama administration violated the Clean Air Act, the EPA’s own regulations, and important legal protections that foster transparency and openness in government – such as the requirement that new federal rules be subject to a public notice and comment period. “We look forward to working with Texas officials to ensure that their industrial facilities can seek permits to expand and grow while protecting the health of all Texans,” the EPA said. “As the Legislature convenes this week facing an estimated $27 billion dollar budget shortfall, we can only hope that the governor and attorney general will decide to fire Exxon’s Yankee lawyers who he has representing his office and let Texas use that money for state services that help people, not on polluting their air,” Marston said. “And under previous administrations, including the Clinton Administration, the EPA has affirmed that Texas’ air permitting laws are consistent with the Clean Air Act. The Obama Administration’s EPA, however, reversed nearly 40 years of precedent – and cooperative enforcement – by attempting to unilaterally impose its policy prerogatives on the State of Texas,” Abbot said in a statement announcing the state’s appeal on December 30, 2010. However, in 2007, the U.S. Supreme Court ruled that the greenhouse carbon dioxide is an air pollutant and that the EPA must regulate this gas under the Clean Air Act. President Barack Obama and EPA Administrator Lisa Jackson have said repeatedly that they prefer to control greenhouse gas emissions through legislation rather than by regulation. While the House of Representatives passed a bill limiting greenhouse gases in June 2009, the bill failed in the Senate, and the nation does not currently have a law controlling the emission of gases that warm the planet. On January 14, EPA will hold a public hearing on its proposed partial approval and disapproval of the Texas Prevention of Significant Deterioration State Implementation Plan and Federal Implementation Plan – both of which relate to greenhouse gas permitting. The public hearing will be held at the Crowne Plaza Hotel Dallas Downtown from 10:00 am until the last registered speaker has spoken. For more information, contact Pamela Long by email: long.pam@epa.gov.